↑ "British explorers discover the light at the end of the tunnel ... in the world's largest cave". MailOnline. 2009-05-05. Retrieved 2009-05-05. ↑ "Ho Khanh, a local farmer and biggest cave in the world". Son Doong Cave. 2009-06-29. Retrieved 2014-11-12. 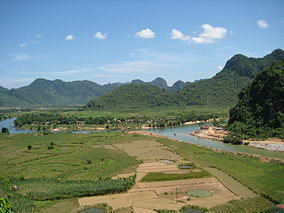 ↑ "World's Biggest Cave Found in Vietnam". National Geographic. July 9, 2009.